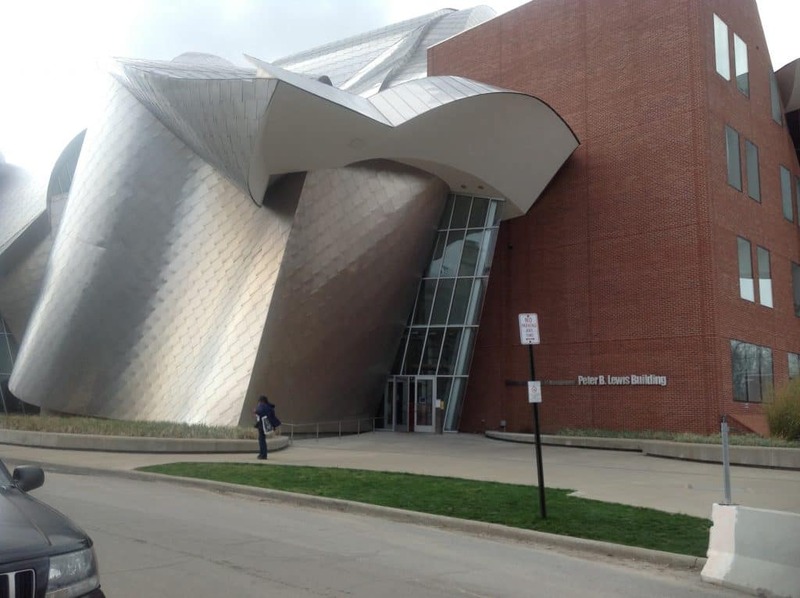 Frank Gehry designed the business school building; the campus has beautiful and eclectic architecture. Case Western Reserve University is well-known for its strength in the sciences, including engineering, physics and the biological sciences, but with just over 4,000 undergraduates and a little over 5,000 graduate students, including law, medical and dental students, Case is a great place for students interested in studying traditional Arts & Sciences and Humanities disciplines here. [Case graduated as many English majors as Civil Engineers last year.] Social sciences, film and anthropology are strong areas; a full list of majors and minors available at Case is here. All disciplines will be rigorous and students learn to balance their study and social time. When I toured in 2013, I met a junior political science and Spanish major, Katie, who (despite the strong wind you can hear in the video) was very confident and quite happy with her choice of Case Western. My tour guide Charlie was a first-year biomedical engineering major from Illinois. He told us about the SAGES program – Seminar Approach to General Education and Scholarship – a sort of honors program in which students take smaller, interdisciplinary courses capped at 17 students. SAGES focuses on critical thinking and writing skills. Case also features “think[box],” an innovation space where students can design, create, collaborate with other students and take products to the market. Students can apply for funding to jump-start these team projects. 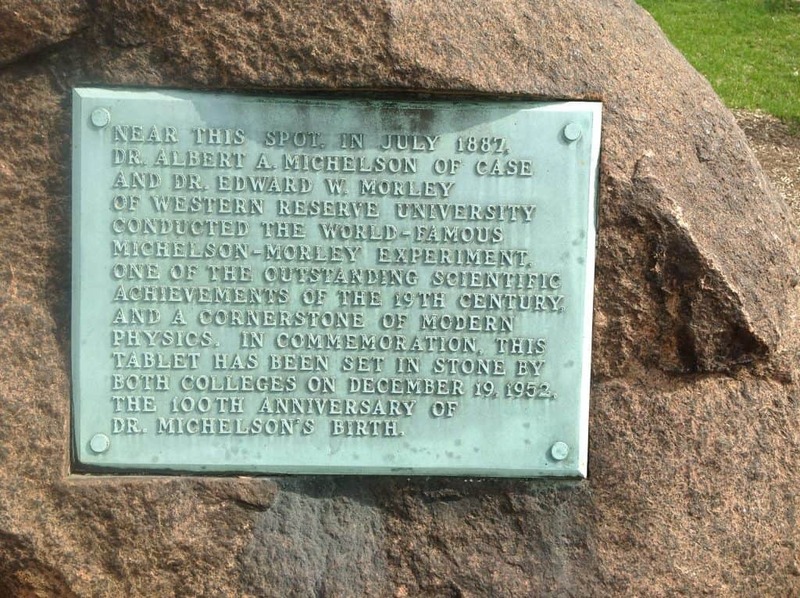 Case is very proud of Albert A. Michelson, the first American to win the Nobel Prize for any science discipline, who taught at Case from 1883-1889, and several buildings are named after him. The Prize was awarded for an experiment conducted during his time here, then known as Case School of Applied Science, with Professor Edward Morley of the then-Western Reserve University (the two schools merged in 1967). About a third of the students are members of the Greek system, but students say there is “good mixing” between students who are not part of it. Laundry is free and students can print up to 500 pages per semester at any printer on campus, after retrieving their documents from the cloud. Most students stay weekends, and cultural activities are literally walking distance away. Housing is required, and guaranteed, for two years, and many students choose to stay on campus all four years. You can see all of my photos from my visit to Case Western Reserve University here.